Summary: A visit to the Strid is one of the most popular Walks in the Leeds and Harrogate Area. The car park near the Cavendish Pavilion cafe gets really full in summer with day visitors usually parking themselves near their cars. Many have picnics by the river and visit Bolton Priory. 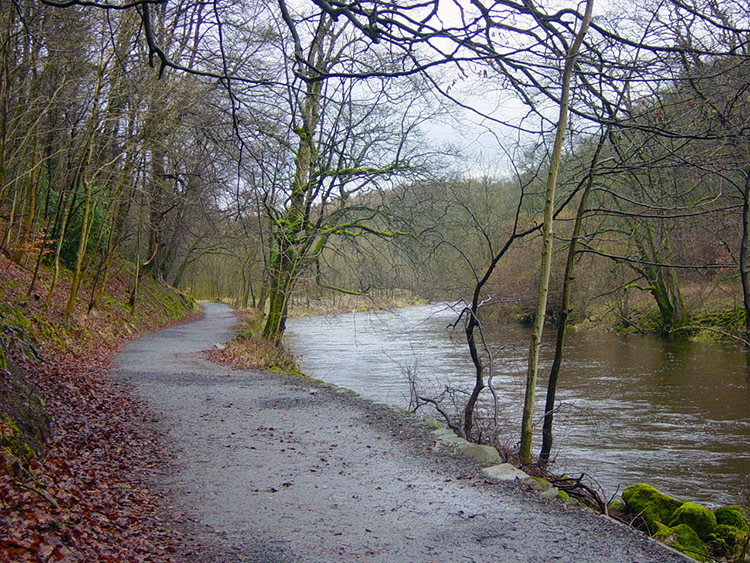 Most will also visit Strid Wood as it is a lovely place with a variety of trails by the side of the river Wharfe. 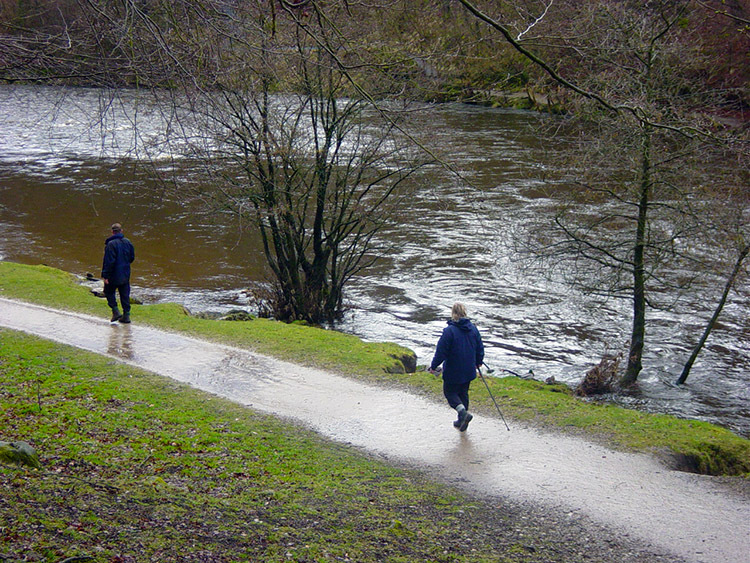 A visit to the Strid itself is almost obligatory as people are drawn to watch the water flow over the rocks as the river is forced to narrow by the rocks that bar this part of the rivers route. 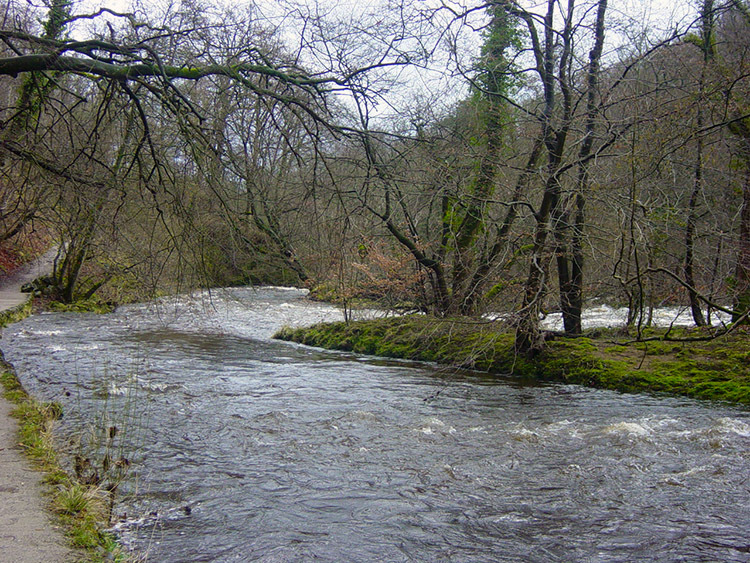 For most off the year the water flows over the Strid in a gentle cascade. Not today. The Walk: In order to avoid any unnecessary car transport on their trip, my brother Ray and sister in law Karen had left their car at our house during a visit to her sisters in Spain. They had recently got into walking so asked me if I would take them for a walk on their return from the continent. I was pleased to so had planned this walk for a week or so. The couple of days before their return to England had been fine but sod's law was to prevail and on the night of their return a low pressure system arrived as well. After a night out we went to bed just as it was starting raining. It was also a windy night and for the whole of our slumber rain lashed down. As we woke it was still raining and gusty but we were not to be put off. I had planned a 8 mile walk that would include a climb up to Simon's Seat. 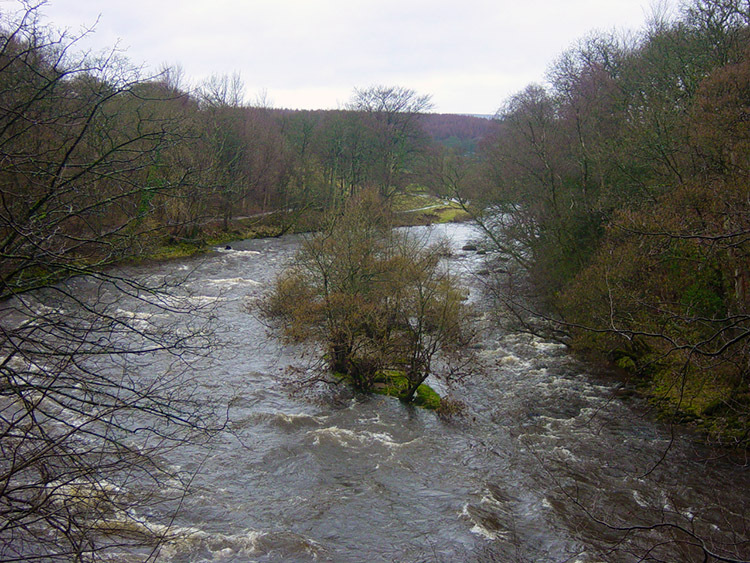 We couldn't do that but surely we could still do the Strid Wood walk. And so we did. As we drove over the rain lashed on Blubberhouses Moor and the wind buffeted the car. 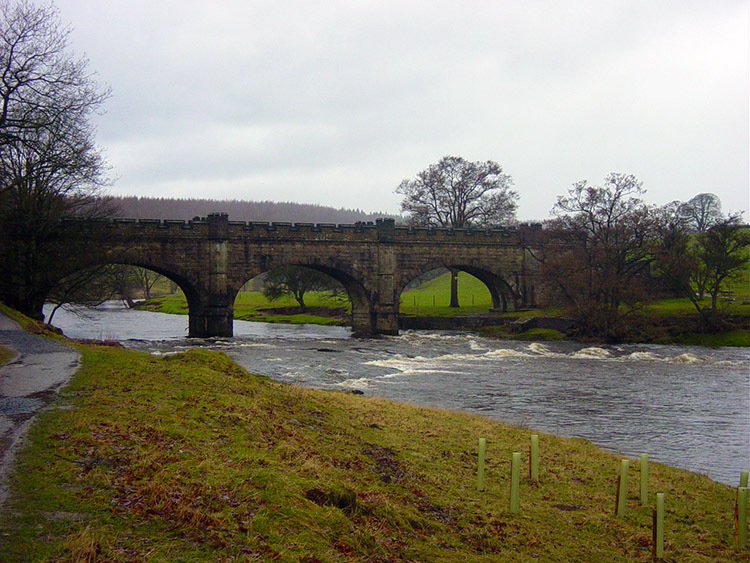 Karen was not going to walk on moor that was certain but we made on to the car park in Bolton Estate and during a coffee in the Pavilion cafe she agreed she would do the walk through Strid Wood. the rain had calmed by the time we left the cafe and we set off on our adventure. We walked through the wood on the western bank of he river and planned to walk to Barden Bridge before returning on the eastern bank. As we walked we passed more hardy groups of walkers including families as this is a popular walk for all ages. It was evident we were in a rainy spell though as lots of the young ones were walking all happily in their wellington boots and skipping through the small puddles along the path. 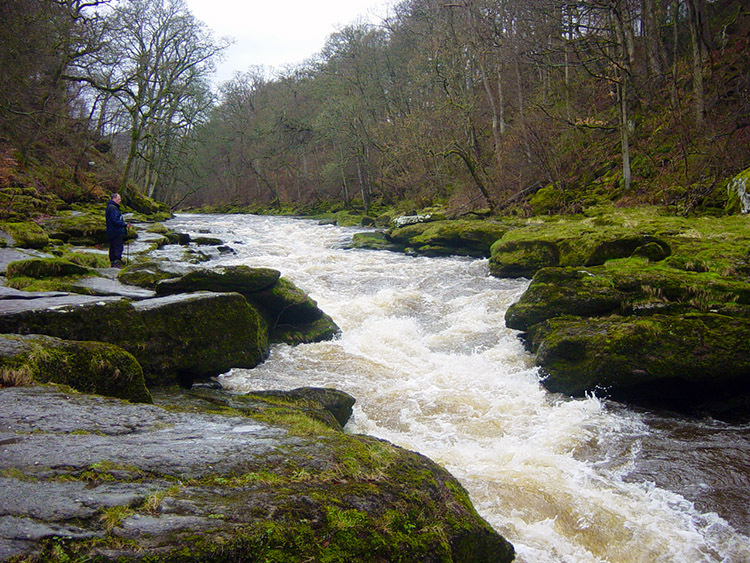 As we walked along the Strid the sights of the river were really impressive. The rains had caused the river to swell more than I had ever seen. The noise was more than I'd experienced in Strid Wood either and I sensed the Strid was going to be an impressive sight. 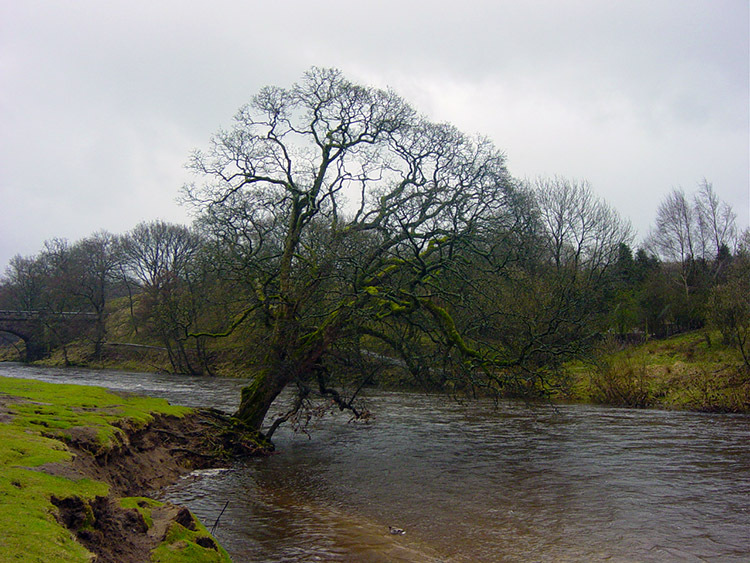 I was not to be disappointed for we arrived to see it in an angry mood as the water raged through the narrowing. I was glad that Ray and Karen were here to see it too for if they came in summer they would not believe the difference. After watching the force for a while we moved on through the wood and onto open land before crossing Barden Bridge to make our return. 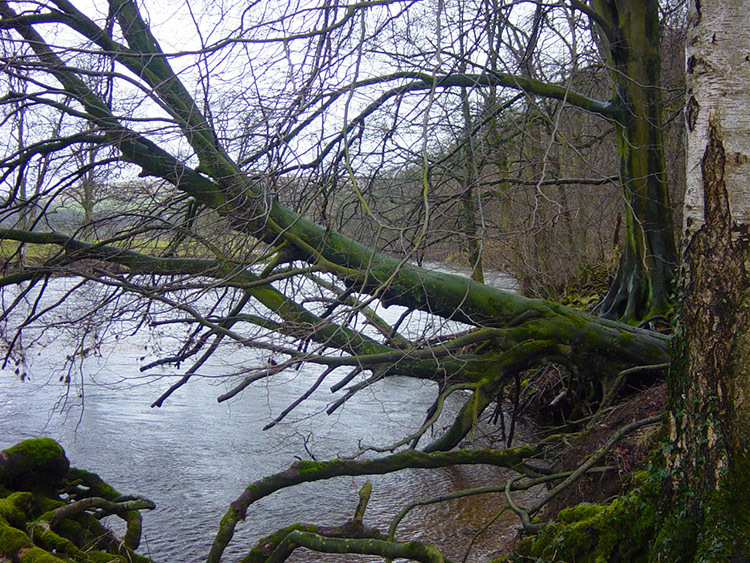 On the return we saw the eastern bank had been attacked by the river and some of it had gone. A lovely mature tree was not going to see another summer because of this. Next time I walk this stretch of the river it will be gone. We made our way back into Strid Wood and enjoyed another noisy walk back to the car. The winds above were whipping branches off the trees. One nearly hit me dropping at my feet. We then arrived back at car and all agreed it had been a great little short walk all the more exciting because of the weather. We celebrated making the effort by enjoying warming pots of tea in the cosy surroundings of the Cavendish Pavilion cafe.